Our mobile homes offer choice and great value for money, with something to suit all family sizes and holiday budgets. Whether you want to relax or feel cosy, our mobile homes are a real home from home. 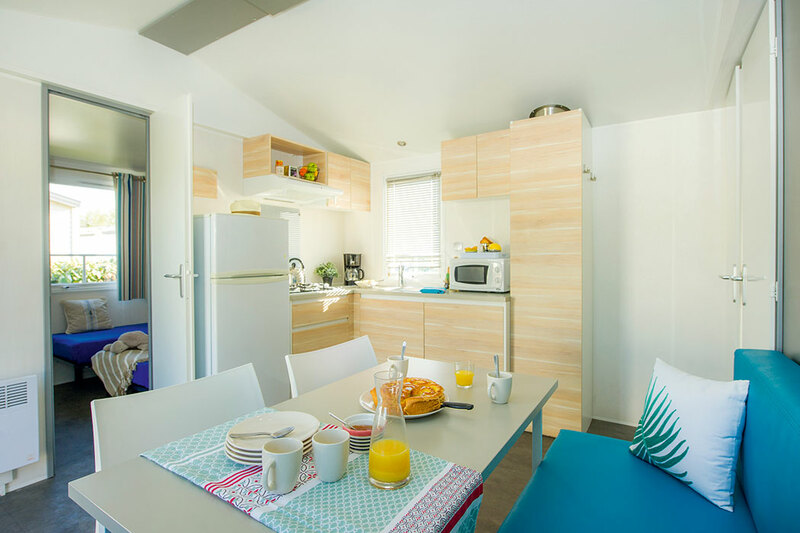 Offering everything you’ll need for a self-catering holiday including kitchen facilities, open plan living areas and modern bathrooms. 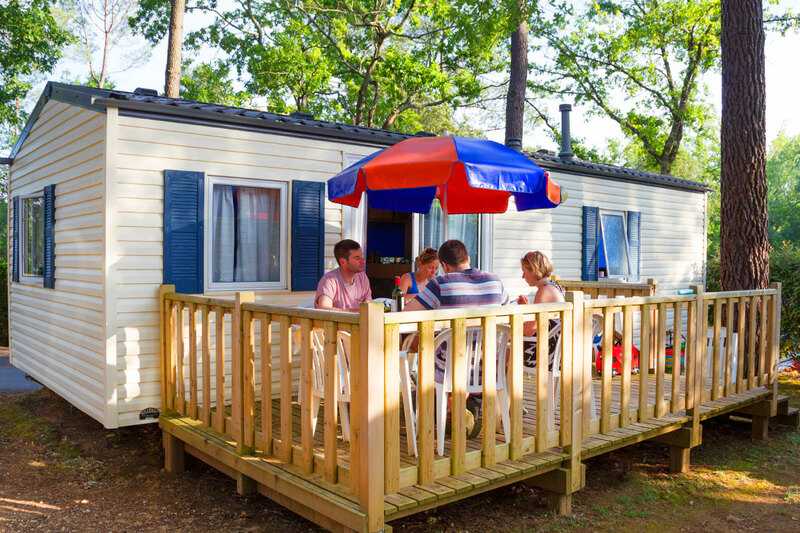 Many of our mobile homes also include decking and BBQs, great for al fresco dining, as well as refreshing air conditioning, offering comfort on those hot summer days. Pillows are supplied but bed linen and towels are not included. You can bring your own or take advantage of our linen and towel hire service when you book. And now we've made it even easier to find the right accommodation for you, with five ranges to choose from, Relax, Cosy, Select, Moda and Premium. If you’re looking for great value for money, our Relax mobile home range is the perfect choice. Inside you’ll find a spacious living area with kitchen facilities and separate bedrooms so there’s plenty of room for the whole family. 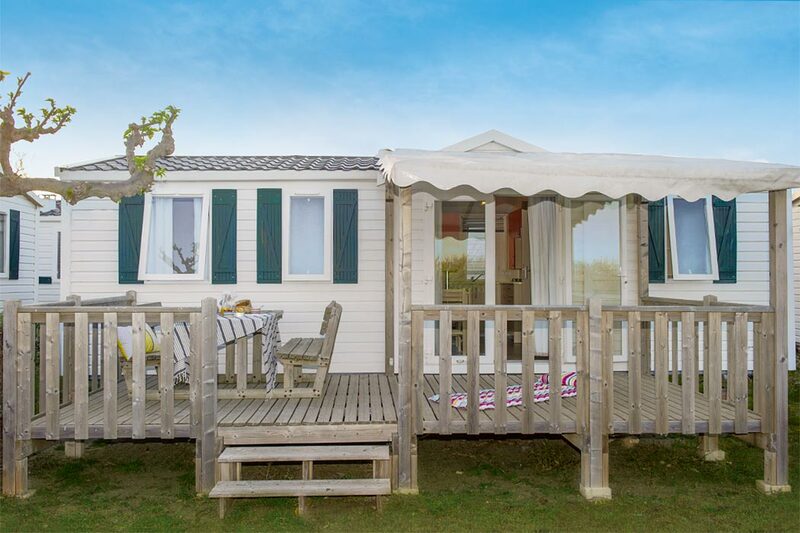 These mobile homes are equipped with a low decking area and garden furniture, where the family can enjoy the great outdoors. Our Relax Plus mobiles have all the great features you'll find in a Relax mobile with the added benefit of raised decking, the decking is uncovered, making it the best place to enjoy a little summer sunshine. 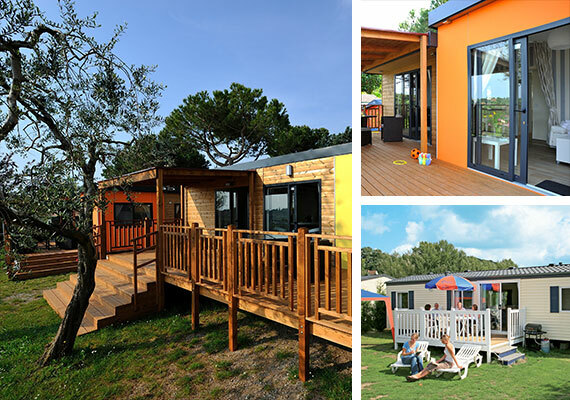 With our mid-range Cosy mobile homes you still get plenty of space for the whole family. Inside you’ll find a living area with kitchen facilities and separate bedrooms. The partially-covered decking area comes complete with garden furniture where the family can relax in both the sun and shade to truly enjoy the great outdoors. Our Select mobile homes offer all the comforts of home at a very reasonable price, perfect for those new to mobile home living. These spacious mobile homes come with 2 bathrooms making them the ideal choice if you’re travelling with friends or extended family. Our Select Plus mobile homes have all the space and comfort of a Select mobile with the added luxury of air conditioning so you can keep cool on a hot summer's day. 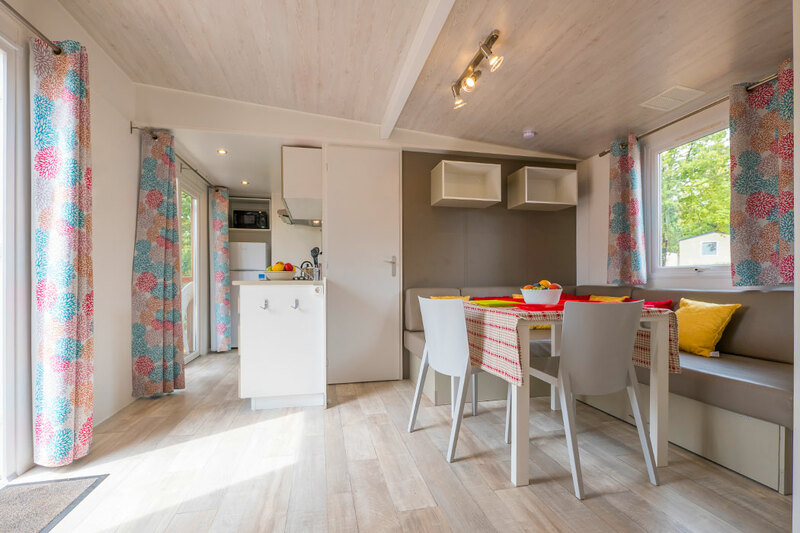 Our modern Moda mobile homes are ideal for couples and families alike. There’s plenty of space and with 2 bedroom and 3 bedroom options available this comfortable accommodation will suit everyone. These mobile homes come with a large partially-covered deck so you can enjoy your holiday al fresco. 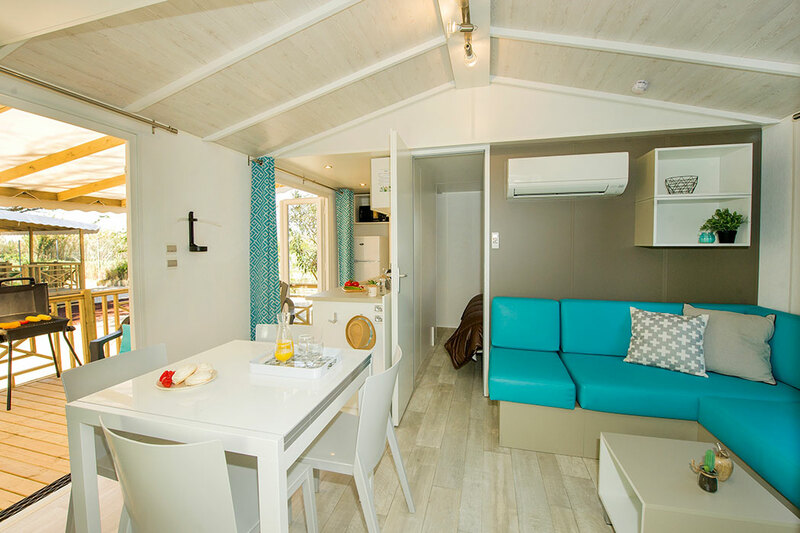 Our Moda Plus mobile homes have all the great features of our regular Modas with even more space! Large families will have plenty of room for a comfortable stay. There is also the added luxury of air conditioning in selected Moda Plus. Our top of the range Premium mobile homes are fully equipped with everything you need for a self-catering holiday. This range contains only our newest mobile homes located on the very best pitches. The spacious living area with kitchen facilities and large bedrooms are fully equipped with the comforts of air conditioning. With this range you receive premium services including your beds made on arrival and a welcome gift. If you think it can't get any better than our Premium mobile homes just wait until you try our Premium Plus. These mobile homes come with the all the luxuries you'd expect with the addition of a television and dishwasher.